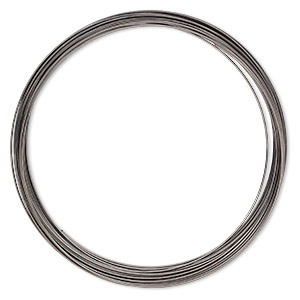 Wire, silver-plated carbon steel, 0.5-0.6mm thick, 3-5/8 inch inside diameter. Sold per pkg of 12 loops. 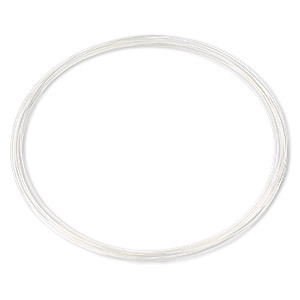 Item Number: H20-F1441CL Have a question about this item? 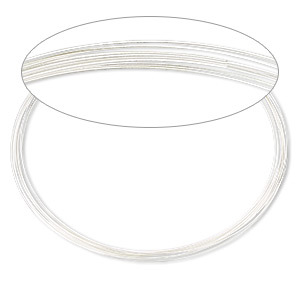 This memory wire is light-duty, great for lightweight beads and charms. 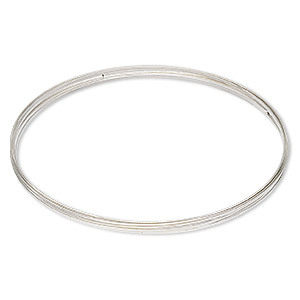 Wire, silver-plated stainless steel, 0.6-0.75mm thick, 3-5/8 inch inside diameter. Sold per 1-ounce pkg, approximately 30 loops. 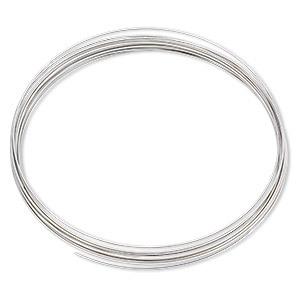 Memory wire, stainless steel, 3-5/8 inch necklace, 0.6-0.75mm thick. Sold per 1-ounce pkg, approximately 30 loops. 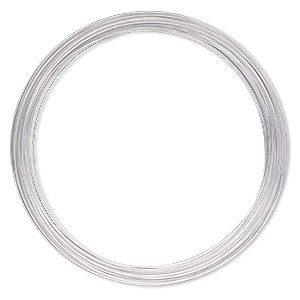 Memory wire, silver-plated carbon steel, 3-5/8 inch necklace, 0.65-0.75mm thick. 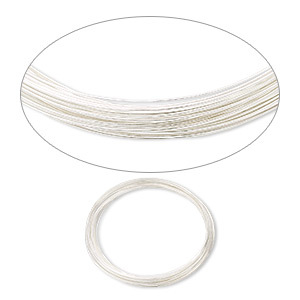 Sold per 1-ounce pkg, approximately 30 loops. 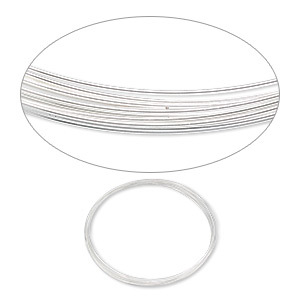 Memory wire, Beadalon®, silver-plated carbon steel, 3-5/8 inch flat necklace, 1x0.5mm-1.2x0.6mm flat. 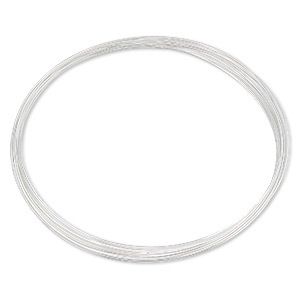 Sold per 0.35-ounce pkg, approximately 7 loops.